The new WHO recommendation integrates the 2013 criteria but also states that hyperglycaemia detected at any stage during pregnancy should either be classified as Diabetes mellitus in pregnancy or GDM. Bad perinatal and maternal outcomes are associated with diabetes in pregnancy. The past three decades have seen much controversy regarding the definition of glucose intolerance in pregnancy and how it can complicate clinical practice. Recommendations may involve processes of new development or revision of national guidelines or protocols. India’s health service needs should be met by these recommendations via adaptation into locally-appropriate documents and tools. 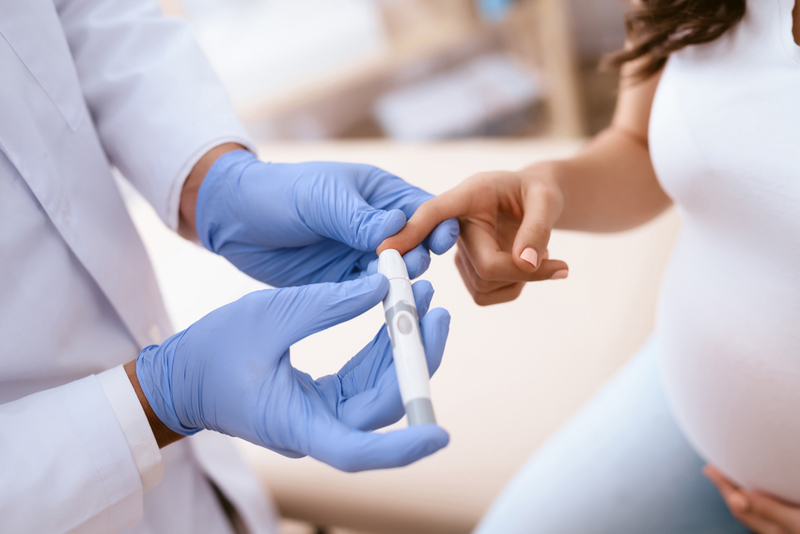 Since there are so many proposals for numerous procedures and glucose cut-offs for diagnosing glucose intolerance in pregnancy, this diagnostic dilemma was bound to occur. The WHO criteria therefore states that when hyperglycaemia is found at any time in pregnancy, one needs to decide whether it is gestational diabetes mellitus (GDM) or diabetes mellitus in pregnancy. The WHO does not presently recommend whether to and how to screen for GDM. Especially in low- and middle-income countries (LMICs), screening strategies for GDM is a priority research area. In contrast to GDM, diabetes mellitus in pregnancy results in greater hyperglycaemia which does not resolve even after pregnancy. Macrosomia, pre-eclampsia/hypertensive disorders in pregnancy, and shoulder dystocia are adverse pregnancy outcomes associated with hyperglycemia from both diabetes mellitus in pregnancy and GDM. A stepped approach of lifestyle changes which includes nutritional counseling and exercise, and then if and when required, oral blood-glucose-lowering agents or insulin are used to treat GDM. These measures result in reduced incidences of adverse outcomes seen in GDM. According to the 2013 criteria, the impact of early diagnosis on pregnancy outcomes in diverse populations are uncertain in areas of the cost-effectiveness of different screening strategies, and the prevalence of GDM and diabetes mellitus. Between 24 to 28 weeks of gestation is usually the ideal window to diagnose GDM. Screening for risk factors such as a BMI of greater than 30 kg/m2, previous GDM, previous macrosomia, family history of DM, and ethnicity with a high prevalence of diabetes mellitus is used in certain settings to ascertain the need for a 2-hour 75 g oral glucose tolerance test (OGTT). Additionally, an OGTT may be considered in undiagnosed GDM if indicated by glycosuria on dipstick testing (2+ or above on one occasion, or 1+ on two or more occasions). Women diagnosed with diabetes mellitus in pregnancy (i.e. severe hyperglycaemia first detected in pregnancy) are managed differently than those diagnosed with GDM, especially in the earlier parts of the pregnancy. However, referral and increased monitoring are required in both cases and the management principles are similar. WHO maintains a guideline review and update standard once new evidence is identified and will provide updated major reviews in at least every five years. Successfully introducing national programs and health care services require proper planning, consensus participation, adaption and implementation of evidence-based policies for antenatal care which should be considered. Recommendations may involve processes of new development or revision of national guidelines or protocols. Each country and health service needs should be met by these recommendations via adaptation into locally-appropriate documents and tools. Explicit and transparent justification should be there for these modifications to the recommendation where necessary. The behavior of HCPs should change to be able to utilise these evidence-based practices. Full inclusion and participation of local professional societies is important and should be encouraged. The previous four-visit focused antenatal care (FANC) model has been replaced by 2016 WHO ANC model in which eight minimum antenatal care contact points are recommended to provide the expecting mother a better personal experience and to reduce the perinatal mortality rate. The timing and content of each of the 8 ANC contact points were also reviewed by the Guideline Development Group (GDG) to ensure that there is enough evidence to support every recommendation and that the timely intervention is given at the optimal time to achieve maximal benefits. Article was originally published on November 2, 2018.